Delicious Pure Fruit Jam made from quality Woodapple, a favourite in India, Pakistan, Bangladesh, Sri Lanka and throughout other parts of Asia. Aslo known as Bel fruit, Elephant Apple or Monkey Fruit. 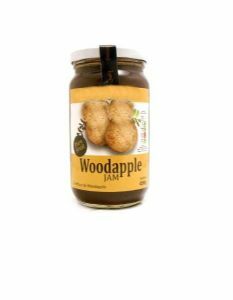 Ingredients: sugar, woodapple, citric acid, pectin.